TeacherDance: Monday Reading - Hurrah for New Books! I'm grateful to Candlewick Press for these first two books! In Jo Knowles' new story, the pressure before eighth grade fills up the main character Rachel's life. Starting with her thirteenth birthday and the first day of summer, she's ready for all the wonderful things summer can bring, like being with her best friend since kindergarten, Micah. As the days go by, each one brings new questions, both personal and in her family. She's excited about a new job caring for the farm animals for neighbors who've built a fancy house on the hill and field next door, but it is not so easy since the chickens peck and the pig charges. She notices that there is not always a full refrigerator anymore and her parents seem to be arguing a lot, over the bills. Then, Micah, whom she does love but only as a friend, seems to want more. And she wants to feel that way, but cannot make herself feel that way about any boy. Jo Knowles tells this story through Rachel's eyes, beautifully showing that confusion over change that young adolescents try hard to figure out, and often alone. Luckily for Rachel, Micah stands by her no matter the conflict. I imagine readers will connect with this story and whether the hard things are the same or are different, they will meet someone they recognize. Rachel's family have named the place where they live as Bittersweet Farm, after the bittersweet that grows in one place there. Her story lives in that name, both bitter and sweet. 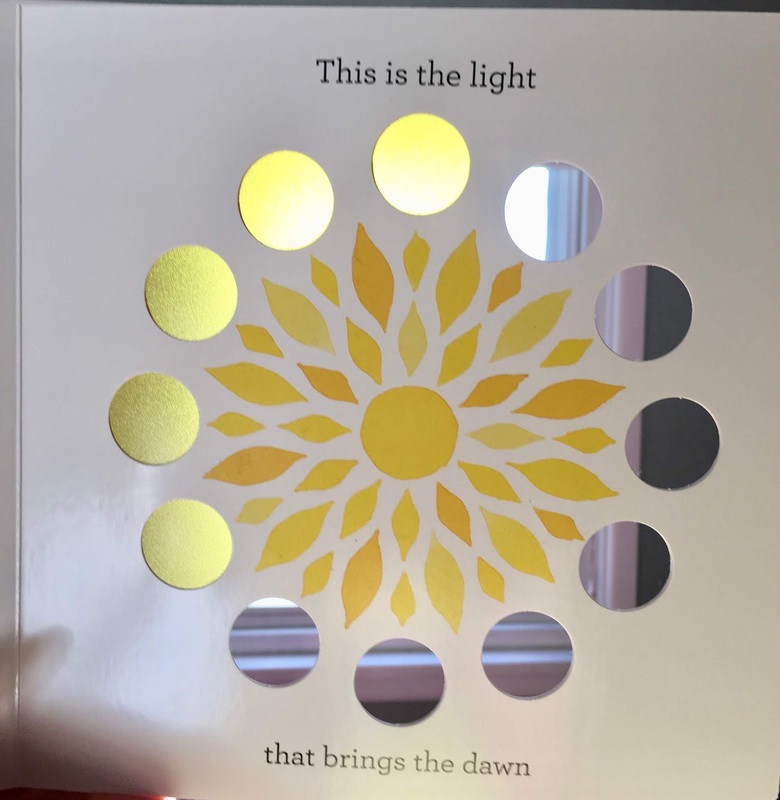 This board book includes the colors you see above, page by page cells are added accompanied by poetic text, showing simply and beautifully how our world of light works, including "you". I've taken one picture of the first page, not as good as what one really sees, but you can understand the idea. My favorite line: "It sips the sea to make the rain." This is a book you must see and savor. 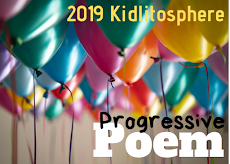 When I was a lit coach, I took a suitcase of musical things like different clackers and horns, a small drum, and so on to liven up our poetry writing. Oh, how I wish I had had this new poetry book to Boom! Bellow! Bleat! with the kids. It's a new delight by Georgia Heard with "out loud" collaged illustrations by Aaron DeWitt. It can be read, as the cover says, by two or more voices, and I found it wonderful to read with my youngest granddaughter, an emerging reader. Serendipitously, we had just visited our zoo and came home to read this new book together. It opens with a fun page of "Animal Songs" including Alligators that Hiss, all the way to Humans, who Talk, Talk, Talk, Talk, etc. It also includes frogs who don't say "Ribbit! ", instead, they quonk, waaa, jug-a-rum, beeeee, peep, twaang, errrrgh, growl, trill, and yeeeeeoooow. There was much to learn about frogs (and toads) just from this page. Imogene loves insects and her favorite page is the honeybees, who bzzzzzzzzzzzzzzzzzzz as they perform all their other tasks. 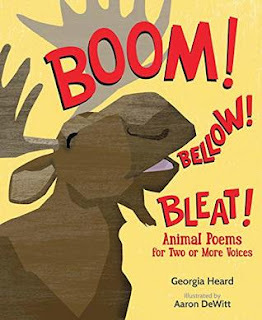 In addition to the poetic text, Georgia has included small bits of information for some of the animals. And added at the back is expanded information in a "Nature's Notes" section. Each page's text are in blue, red and sometimes black (for that third voice). It was great fun to read aloud. For groups, a page titled "Forest Orchestra" gives instruction and a script for fourteen parts to perform together. She includes tips like "Keep in mind that animals have adapted different sound tones so when singing together they don't drown each other out." From large to small, land to ocean, animals Boom! Bellow! Bleat and more. One only needs to listen! I learned from a review that in Spanish, “Güero” is a nickname for guys with pale skin, Latino or Anglo. Further, it says, "Güero, a red-headed, freckled hero is puro mexicano, like Canelo Álvarez, the Mexican boxer." He is also a nerd—reader, gamer, musician—who runs with the Los Bobbys, his nerdy friends. 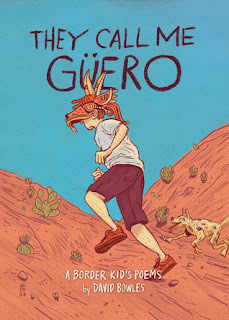 Family, friends, happiness and sorrow fill up Güero's life, each poem telling part of the story. He tells of his beloved dog who dies, his friend who has a tough time on Father's Day, whose father has disappeared, and playing the accordion at his sister's quinceanera. Laced with Spanish (a glossary is at the back if needed), I can imagine many who'll recognize this boy, either in themselves or in classmates. Peter Reynolds is serious. No matter who you are, soft-spoken or loud, you can "say something" when needed. You can make someone feel less lonely, speak up when they're hurt, plant a seed and watch it bloom. With all kinds of wonderful kids in beautiful spaces, we all are challenged to use our voices and our ideas, to make life better. For everyone, for every classroom, another book from Reynolds that excites and makes me smile - a lot! One final note: The front end covers show all kinds of speech bubbles with things to say: Hate Has No Home Here, PEACE, Speak from your heart, Thank you, You've Got A Friend. . . And the back end covers holds a note from Peter Hamilton Reynolds himself about "your voice" on the left, with blank bubbles on the right. Terrific! Hurrah, Penguin is back! Front end covers: "Flight School Yearbook", and back end covers: "Penguin's Scrapbook"- snapshots of the "best" of everything from his visit! Penguin still loves to fly, but has become homesick. His sweet new friends from flight school devise a surprise. 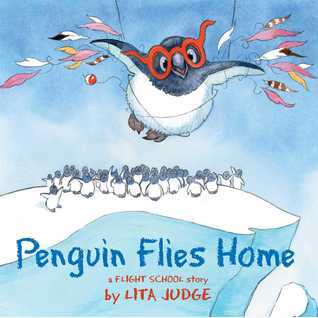 They fly with him back home to the South Pole where he invites all his old penguin friends to come with him to "flight school". Sad to say, they have no interest and penguin is left alone again, yet deep inside his soul he knows he wants to fly, thinks "You have to listen to things that deep, even if it means you will be different from everyone else." What happens next is something friends do for each other, give support. It's better if you see the gorgeous illustrations also by Lita Judge, making this story of Penguin seem very real. Next: I need to finish I Am Still Alive by Kate Alice Marshall, and someone gave me a copy of Laurie Halse Anderson's new Shout so that will be next, then to Blood Water Paint by Joy McCullough. Happy Reading AND Happy Spring on Wednesday! I really loved Say Something. I got to share it with a class last week... we didn't have much time to talk about it, hoping it resonated! And love the new Jo Knowles book! I have an unfinished copy of You Are Light - hoping to get a finished copy soon! I only had Say Something from the library, Michele, but I loved it, too, may need to buy it! Also, I think the new story by Jo Knowles is lovely, too. Again this year there are so many wonderful new ones out, & it's only March! Enjoy You Are Light when you get that copy. Thanks! 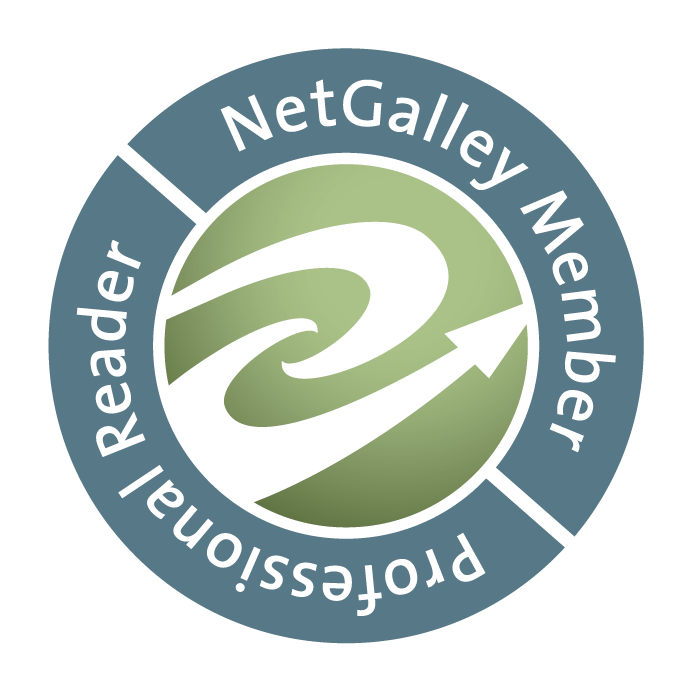 I have Where the Heart Is from NetGalley & am looking forward to reading it. I also just ordered Boom! Bellow! Bleat! from the library. Thanks for sharing and have a great week! Thanks, Jana, hope you enjoy them both, & have a great week, too! 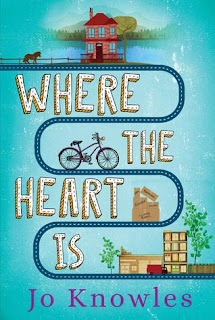 Where the Heart Is is on my TBR list, so we'll see if I can grab a copy by this summer. I need to go to Goodreads right now and add Boom! Bellow! Bleat! to my elementary ed music class list -- we could do a lot with a book like this using classroom instruments! 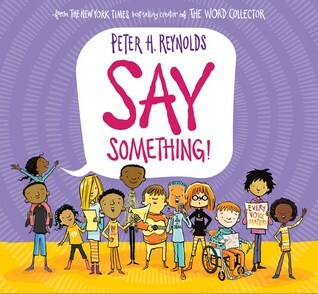 And I was just sharing with another blogger that I'm ordering Say Something for a dear friend of mine who has loaned me several Peter H. Reynolds books that I've kept for several months, now. I'm hoping she'll go easier on me and my late return if they all come back with an extra book in the pile. LOL Thanks for sharing more about all these titles, Linda! I read Blood Water Paint as an audiobook and I just remember thinking the narrator (Xe Sands) did a fantastic job. So however you're reading it, it really hope you enjoy it! Oh, yes, for your music class list! Terrific! You'll love this new Reynolds books, another winner! I have a hard copy of Blood, Water, Paint, bought it from someone's recommendation & then didn't read it! Soon! Thanks, Shaye! 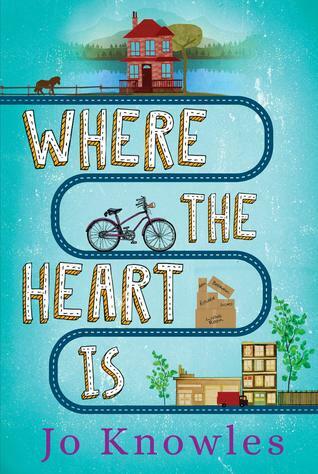 Loved reading your review of Where The Heart Is. Jo Knowles is such a gifted writer. She also gives me all the feelings. Unfortunately my library does not have They Call Me Güero. I can but hope they will bring it in soon. I'm stocking up on poetry to read in April! Stocking up on poetry is nice to hear. I enjoyed this character in They Call Me Güero very much as you can read, Cheriee. Yes, I've loved every Jo Knowles' book! Thank you! Where the Heart is sounds great! I have to get myself a copy! Yes, do! It is great! Thanks, Lisa. I am testing my comment here. I am not sure why it is doing that! Let's see if this comment works. Yes, it worked and thanks for the "extra". Glad to know that you loved this new one from Jo Knowles, too! 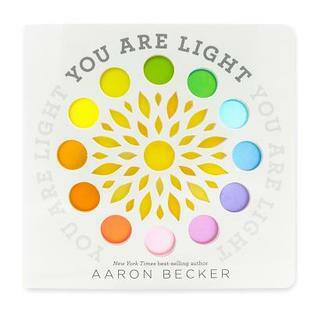 I can't wait to read You Are Light.